While shopping for some items online, I stumbled upon an Item which I'll like to share with you all. This item is a very rare and unique one which caught my attention - It's a USB Clock Fan. 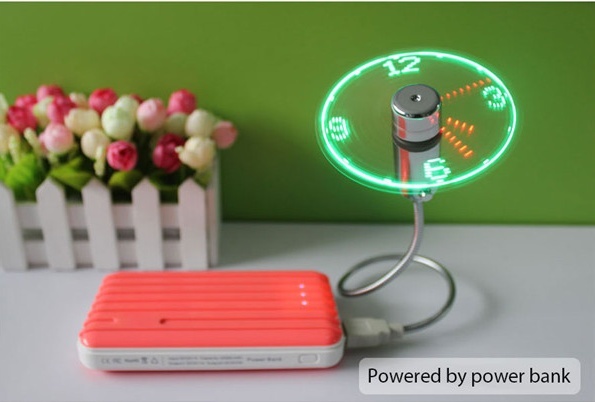 This USB Clock Fan is very simple to use, just plug it in to your Laptop's USB Port or Power Bank and the fan starts to work immediately and the colourful clock will come up and start working as well. The most interesting part of this little gadget is its price tag - just $5.99 (around #2000). I won't be able to say much about this item since I've not tried it out myself but here are the details of how it works. I'll post a hands-on review when I get mine. Mini and convenient design, bringing you more cool and right time in the office, you can present this as a gift to your family and friends, especially if the person is tech-savvy. It is a better way to show your refined taste and express your mind to a tech geek because its unique, premium, practical and very easy to use. 6. After the first time setting, it will remain like that even if you power off, and no need to set the time again. 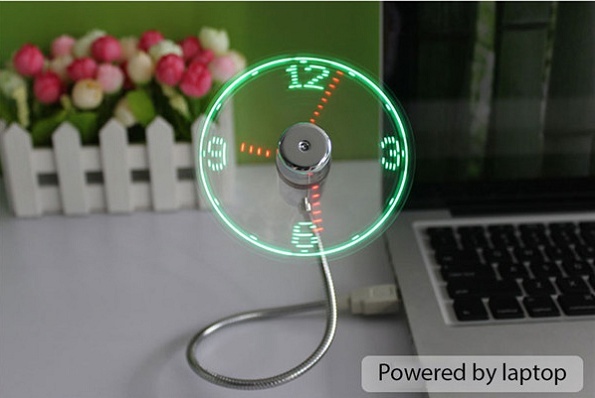 If you are interested in this USB Clock Fan, navigate to GearBest.com to buy it now! Note that this item is a Free Shipping item which means that you won't pay any shipping fee and also, the $5.99 price tag is a promo price (price slash) which will last for only 6 days. After that, it'll go back to its previous price, which is $8.14, it may even increase. What do you think about this gadget? Will you buy it or not? Let's hear your thoughts via the comment box! Kindly share this nice deal with your family and friends so they won't miss out. Have a nice day!